Our original plan was to eat at Song Kee Fishball Noodles, but when we reached at 6.30pm, it was still closed. 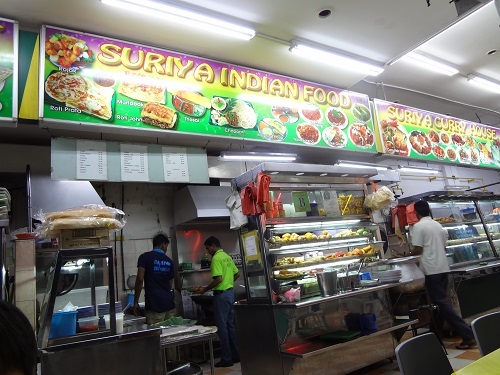 In order to satisfy our growling stomach, we decided to head to its neighbouring stall; Suriya Curry House. (So glad we did!) The people serving us were real friendly, which made the meal even more enjoyable. The variety that Suriya Curry House had was huge! Name any Indian food and it will most probably be there. We decided on the plain Roti Prata, Fried Bee Hoon, and Roti John. We requested for a bowl of Chicken Curry and Fish Curry to go with our plain Prata. The taste of the Prata on its own could have been more fragrant; however we all loved the soft texture of it, making it easy to chew on. 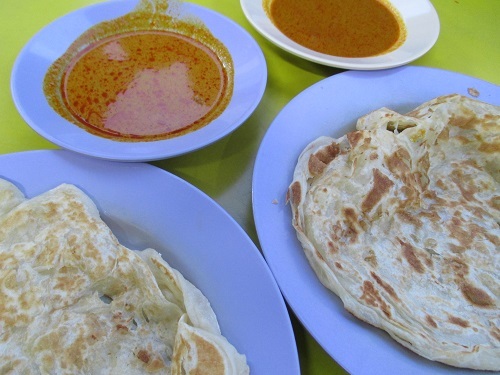 All that the Prata was missing was a little bit more of a crisp on the outside to give it that extra oomph! The Chicken Curry was slightly diluted resulting in it being on the bland side; could have been slightly thicker and milkier. As for the Fish Curry, we absolutely loved it! It was tangy with a little bit of spiciness, we highly recommending going for this curry instead of their Chicken Curry. 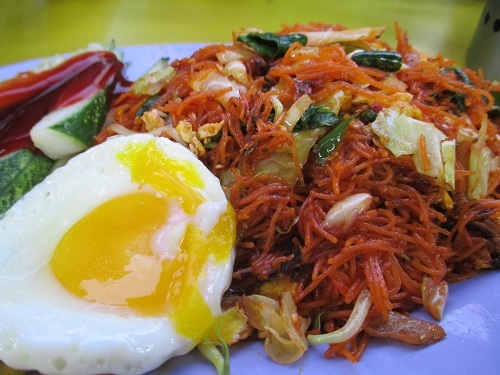 The Bee Hoon was a little wet, would have been better if it was slightly crispier and charred. Taste wise it was rather reasonable, but we would have loved it more if it had larger chunks of eggs and mutton! This dish was the last to arrive, but it stole away all the limelight from the other 2 dishes. 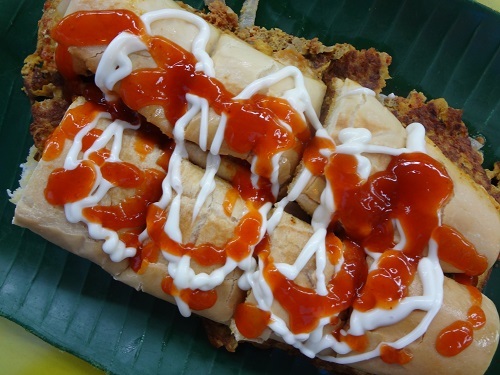 This Roti John is by far one of the best we ever had, far better than famous stalls like the ones from Botanic Garden and Eunos Food Centre. 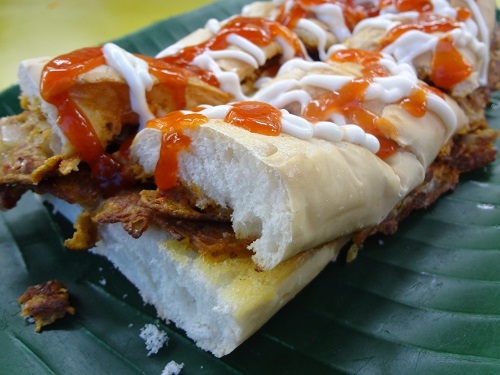 The bread of the Roti John was extremely soft, fine and dense, topped with generous portions of mayonnaise and tomato sauce. As you can see from the picture, the portion is humongous, with a large amount of ingredients like eggs, mutton, and onions. (you get to choose if you want chicken or mutton too) Another reason why we loved this so much is because it wasn’t oily and deep fried like most! Instead, it was just nicely toasted enough to give it a slight crisp at the bottom. 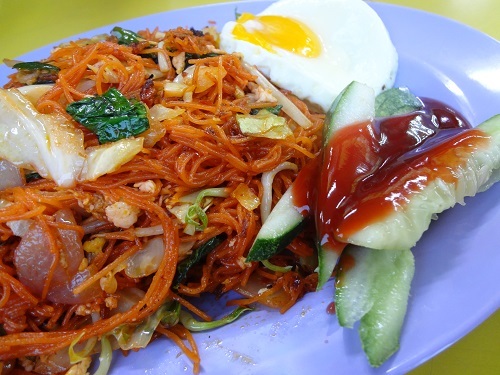 We will definitely swing by again some time to try out the other dishes that Suriya Curry House has to offer! 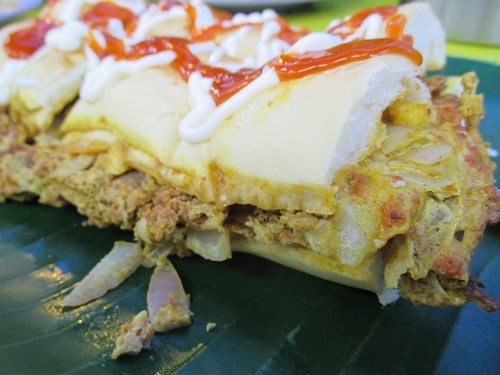 Finally we got a chance to recommend a real good Roti John.